Puerto Rico Treasury Secretary Raúl Maldonado. The government of Puerto Rico will go broke by Oct. 31 unless the U.S. Department of Treasury approves an injection of between $4 billion and $6 billion that the local Treasury Department has requested. 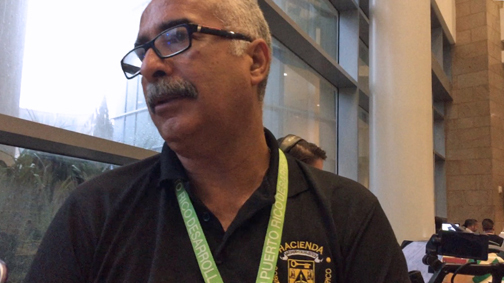 Local Treasury Secretary Raúl Maldonado said based on the way the government’s cash is being used now, it would have a “precarious situation” on its hands on Oct. 31 and will not able to operate normally in November. The government has been unable to collect revenue from normal operations in Puerto Rico since Hurricane María made landfall on Sept. 20. The government of Puerto Rico is submitting the required paperwork to U.S. Treasury this month, he said. With the short-term liquidity petition, Maldonado said the local government would have enough time to establish the strategy it must follow to continue operating. Meanwhile, he said the local government is turning to U.S. Congress not only on the issue of liquidity, but about how Puerto Rico will be positioned within the federal tax reform that the Republican administration is pursuing. “Puerto Rico receives about $2 billion in taxes from multinational companies that do business here and are very sensitive to what may happen,” he said, referring to pharmaceutical companies that receive benefits under Act 154. “We want Puerto Rico to be part of that conversation and can recommend clauses that allow us to keep that tax base,” he said. Hey Buddy!, I found this information for you: "PR gov’t will go broke Oct. 31 without B-B from U.S.". Here is the website link: https://newsismybusiness.com/broke-without-from/. Thank you.